In order to differentiate good fats from bad, you need to understand the difference between fat and cholesterol. While most fats have a fairly simple chemical make-up, cholesterol is a very unique and chemically more complicated type of fat, or fatty substance. It's a fairly complicated process for our body to make cholesterol, with excessive intake known to cause a range of health problems. While our bodies need cholesterol to help build cells and regulate hormones, it's important to differentiate between LDL from HDL, the lipoproteins needed to carry cholesterol around the body. Monounsaturated fats are generally believed to be good, with these fats found naturally in many food products. 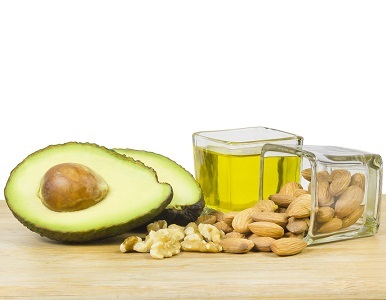 Monounsaturated fats lower LDL and increase HDL, with these fats found in canola oil, olive oil, olives, avocados, and many nuts. The situation around polyunsaturated fats is more complicated, with these fats including both omega-3 and omega-6 fatty acids. While omega-3 fatty acids are known to prevent and even treat heart disease and stroke, the consumption of omega-6 fats can be harmful. Polyunsaturated fats include fatty fish, sunflower oil, corn oil, and some nuts including walnuts and pecans. Saturated fats have been getting a lot of attention lately, with opinion slowly changing on how these fats interact with the human body. While the saturated fats found in butter, cheese, and fatty meats have been getting bad press for a long time now, saturated fats raise both LDL and HDL levels, making them good and bad at the same time. While saturated fats were initially assumed to cause heart disease because they raise cholesterol in the blood, this link has been found to be inconclusive at best. New evidence suggests that saturated fats are neutral and may even be positive, especially when consumed in moderation as a replacement for trans fats and processed polyunsaturated products.